Do you need the cheapest international shipping from Australia to South Africa? Are you looking for the best sea freight rates from Australia? PACK & SEND can facilitate a number of solutions and offer you the best advice when sending goods to South Africa. PACK & SEND will save you time, trouble and money on couriers, freight and shipping. With years of experience and expertise, our dedicated team will advise you on the best approach when sending your goods. PACK & SEND will help you find the most cost-effective solution, no matter size or weight. With an extensive international network, PACK & SEND has established serviced location throughout South Africa, including Cape Town, Johannesburg, Durban, Pretoria and Port Elizabeth. 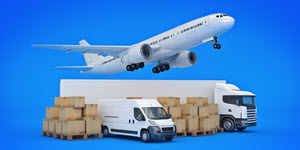 PACK & SEND, a leading international courier, can get urgent parcels and documents to multiple locations with an affordable express courier service. Track your delivery to the door.